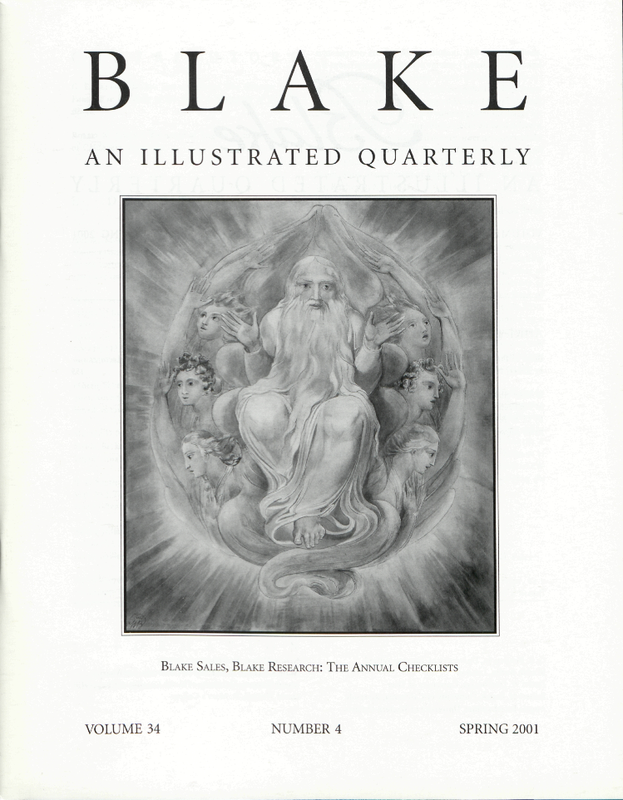 G. E. Bentley, Jr. has just completed The Stranger from Paradise in the Belly of the Beast: A Biography of William Blake. Cover: God Blessing the Seventh Day. Water color, 42 × 35.5 cm., datable to c. 1805. Photo courtesy of a British private collector.